If you do even a little bit of web or graphic design, you might have run into a cool poster or product label somewhere and thought “I like this color scheme.” ColorSchemer Touch is a neat iOS app that will help you out with those situations. 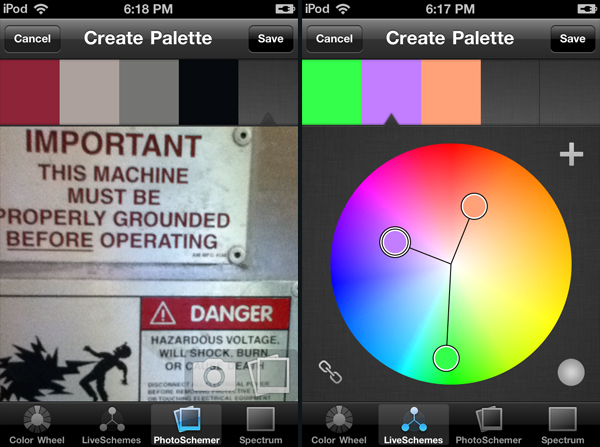 If you snap a photo, it will let you tap colors within it and build a color palette. It also has a couple of manual color pickers, including a basic color wheel and the nifty “LiveSchemes” tool, and integration with Colour Lovers. So you can browse and save other palettes as well as creating your own. You can easily email color palettes or save them to your camera roll, as well as syncing them to Color Lovers. ColorSchemer Touch is currently free on iTunes, though I believe it is usually $2.99. Too busy to watch the liveblogs of Apple’s big WWDC keynote? Here’s a quick rundown of some of the most noteworthy links. 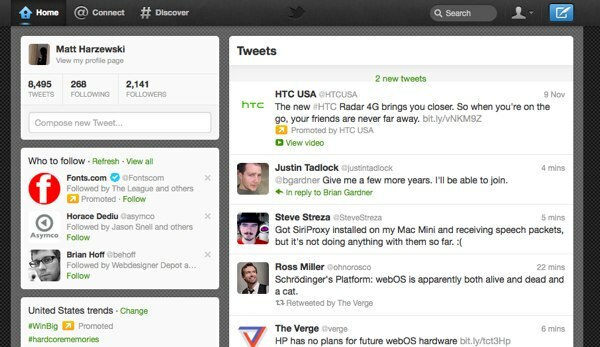 There’s a lot changing in iOS, and OS X Lion is just around the corner. Then there’s iCloud, the crazy service that does more than most speculated. Apple put out a press release that they will be unveiling a large batch of “next generation software” on June 6th at the World Wide Developer Conference. This will include iOS 5, Mac OS X 10.7 Lion and something known as iCloud. We already had a sneak preview of Lion last year, but this should be a look at the final product—as well as a release date. The big news will likely be iOS 5 though, with its rumored widgets and notification overhaul. iCloud is the big mystery—I’m thinking it will be some sort of storage and syncing API, integrated with iOS and Lion, for app developers to leverage. Oh, and the iPad versions of the iWork apps are now available on the iPhone. If you’ve ever tried a little iPhone development out, you might have run into an inconvenient problem. Apple uses a code signing system on iOS devices to ensure that software that ends up on them has either passed through the App Store (and has thus been checked for malware-like behavior) or has been assigned to the unique device ID using an ad-hoc distribution. 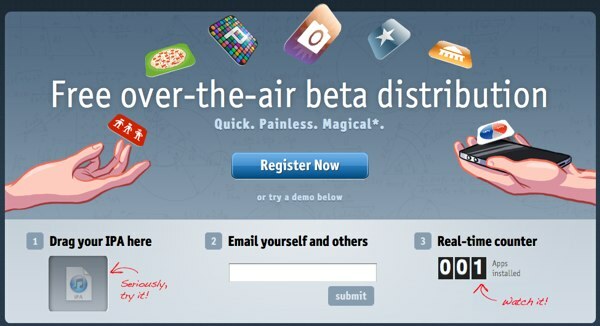 This is generally good for the end user, but it’s a real pain to distribute betas. I’m not sure how it does it, but TestFlight takes the pain out of iOS beta distribution. You just build an app, upload it, enter some email addresses, and TestFlight magically takes care of the rest. When a beta tester gets an email from TestFlight, they register their device by logging into the TestFlight website on their iOS device. It installs a provisioning profile over the air, and lets them access your uploaded application builds in the same way. However it does its magic, TestFlight is an indispensable tool for developers. Apple has just launched a new OS X application intended for advertisers looking to run ads on Apple’s iAd network. 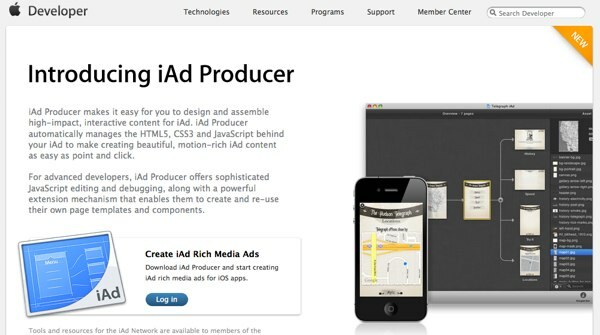 The software package, called iAd Producer, gives you an iLife-style tool to visually design interactive HTML5 ads. The iAd Producer displays a chart giving an overview of the ad bundle, allowing you to double-click the different elements and make changes to them. You can drop in graphics and videos, choose from the common page types used in ads (such as photo and video galleries, wallpaper pickers, coverflow views, etc.) 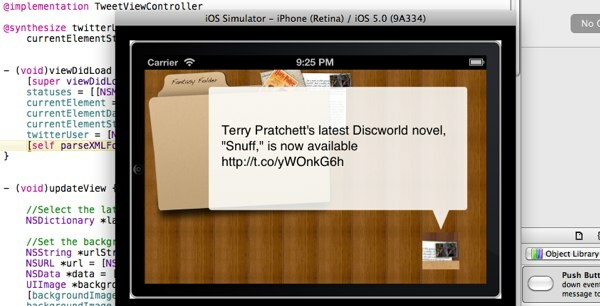 and then preview the final ad in the iPhone simulator. 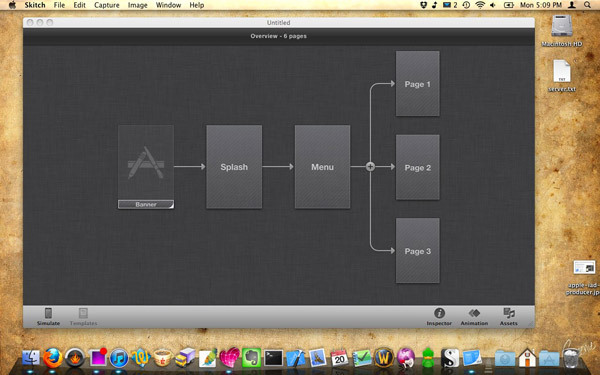 The application also allows you to build iAds for the iPad. It’s a great idea, I think. It may mean more advertisers will join the iAd network, since they will have to invest less resources into their ad in order to get started. A lot of big-name brands probably don’t have serious web developers on their marketing teams. Here’s a tip for you iOS developers. Have you ever noticed how some apps let you copy files back and forth between their Documents directories and your computer from within iTunes? It’s very easy to implement it yourself. As a matter of fact, it’s just a boolean switch in your app’s plist file. All you have to do is open the plist file in your Xcode project and add the key UIFileSharingEnabled with a value of YES. 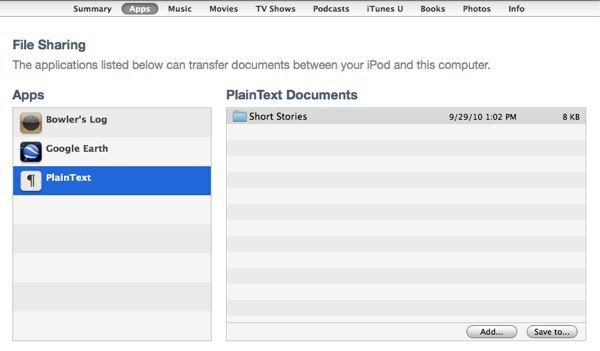 iTunes will display any files in your application’s Documents folder and allow you to copy them to your computer, or vice versa. This is a feature I would like to see more developers implement. It would be great for things like games or other apps that don’t sync with a web service, as it provides a convenient way to back up your progress (e.g. game save files). I noticed something interesting recently. The new version of Apple’s Xcode development suite (which is used to build applications of iPhones and OS X) is starting remind me a little of Coda and Espresso. The latter two applications are one-window development environments for web developers. Coda, which is similar to Espresso but was released first, combines a powerful text editor with FTP syncing, visual CSS editing and support for the SVN versioning system. This has proven to be popular among web designers looking to streamline their workflow. Xcode is already a great IDE, and a pleasure to work with. The changes should make it even better, and more in line with the “Mac-like” feel the great tools that other developers have been building for web designers.